Due to the nature of the parts it manufactures using injection moulding – high quantitities of complex shapes with narrow tolerance ranges - Weidmann is using 19 continuously running Netstal machines. Diabetes is a widespread disease with high global growth rates, and individuals suffering from it have to check their blood sugar on a regular basis. The FastClix device is designed remove blood without causing pain. Instead of the tip of the pen, a lancet extends from the housing, pricks the skin and disappears– all in three milliseconds. At Weidmann Medical, the sophisticated inner workings of the FastClix system are produced on an Elion with a clamping force of 120 tons as well as a 100-ton Synergy. The relationship between Weidmann Medical and Netstal goes back to the end of the 1990s, when a 90-ton Synergy was commissioned. This is still in operation. Today, 19 Netstal machines are running at the Weidmann production site in Bad Ragaz. Most of them are equipped with the Med-Kit, which better protects the products from dust contamination and makes it easier to clean the plants. Many of them are located in cleanrooms with an ISO class of up to 7. Due to the short distance between Netstal and the medtech specialist, mould proving, commissioning and service tasks can be performed quickly and in close cooperation. Partly because it is located in a high-wage country, Weidmann Medical has automated much of its production. In addition, all components are subject to a 100% in-line camera inspection. In four shifts, 115 employees work seven days a week and produce approximately 500 million parts annually. As part of the Wicor Group, which has 3,100 employees, Weidmann Medical carries out business across the globe and operates its own plant in Mexico. Due to its size and because its specialises in the medical sector, the company says it can react flexibly and immediately to customer inquiries. The complex shapes of the parts were the main challenge for the production of FastClix, as project manager Thomas Epp explains: "In order for the push and twist mechanism to work flawlessly, no burrs may form at the components." The components consist of PBT (white articles, see photo) and ABS (grey) and are produced in 16 or 24-cavity moulds. The lancet system, which consists of 22 components, features needles for blood removal in six bays. The user can adjust the prick depth at the pen and, after each use, they can choose whether they want to select a new bay – and therefore a new lancet – or not. Once all six needles have been used, the inner workings of the FastClix system are discarded as a disposable item and a new one is inserted. Customers can purchase these inserts as a ready-to-use item straight from Weidmann Medical. Millions of these completely assembled drums are shipped from the plant in Bad Ragaz annually. These large quantities can only be produced with reliable machinery. "We value the high availabilities of Netstal plants and that we have very few technical problems. They just keep running, are extremely reliable and have long service lives," says Epp. 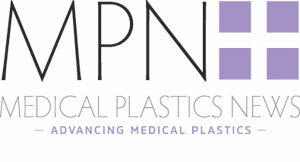 The medtech manufacturer focuses on the development of high-end technical plastic injection moulding components and not only implements its own product ideas but also designs using customers‘ ideas. The goal is to be involved early on in projects to uncover the optimal manufacturing process. For the main markets in Europe and the US, the production can also be done internationally upon request. The products include sealing systems for syringes as well as high-precision components for in-vitro diagnoses or special pacifiers for premature babies. In many cases, assembly and packaging services are added to the injection-moulded products. With this portfolio, Weidmann Medical says it has established itself as a partner of globally renowned pharmaceutical and medical technology companies.